We can expect a lot of changes in 2015. President Robert Mugabe is looking increasingly frail and has all but named Emerson Munangagwa as his favored successor. The latter, Shelton tells me, would be entirely unacceptable to most of the inhabitants of Matabeleland. He should know, he grew up in Bulawayo. The rains are ongoing, hopelessly late for a good harvest and completely unexpected in what was supposed to be a drought year. 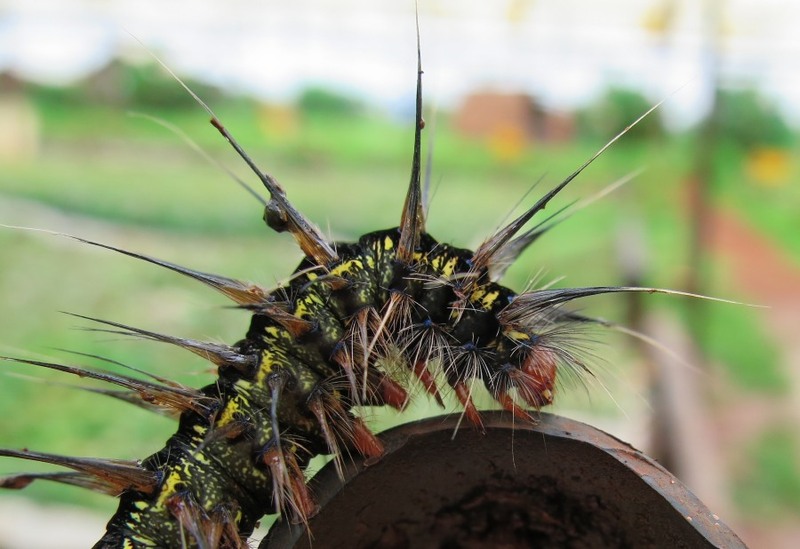 It’s wet enough that the caterpillars have a punk hair-do! The introduction of low denomination coins are NOT an attempt to re-introduce the Zimbabwe dollar. 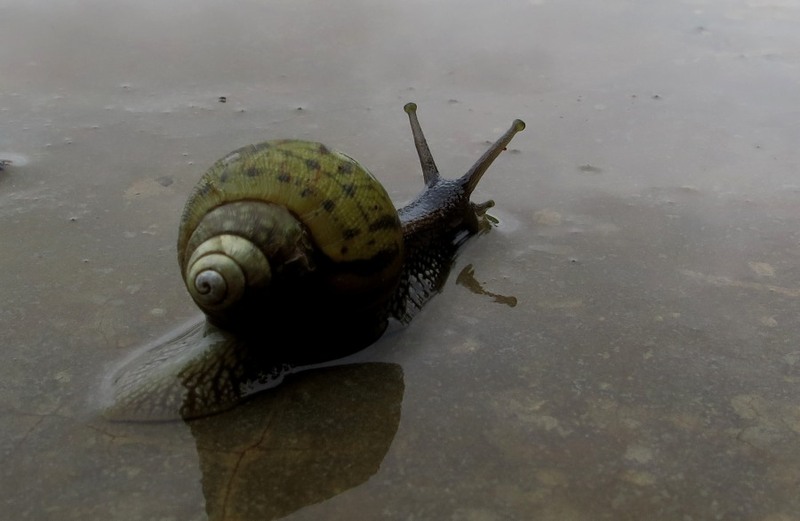 The Zimbabwe economy is moving even slower than the snail below and has less sense of direction too.Who knows where it will be end of 2015? I have a feeling 2015 will not be boring.